2013 is here with us and it’s time to look back at the past year and recognize those who left a mark in the entertainment industry this past year. A lot of artistes contributed in keeping Kenya entertained in 2012, and as usual, a few out–shone the others. Size 8 was incredible, especially after releasing her smash hit Vidonge. She has a reputation of giving powerful live performances and in 2012 she built on that. She is a favourite during concerts and particularly University concerts. She has also been part of Safaricom Live Tour and for sure she has kept the crowd on their feet. As if not enough, Size 8 displayed her acting prowess, on Citizen TV’s legal comedy Mashtaka, a decision that has however not gone down well with a good number of people. Bottom line, Size 8 has been one of 2012’s most notable figures in Kenya’s entertainment industry. D.N.A is another artiste who has contributed to Kenya in 2012, entertainment-wise. His smash hit Maswali ya Polisi became an national anthem and in some quarters still is. The former gospel artiste will forever remember 2012. Jaguar was also good this past year. Capitalizing on his hit Kigeugeu, Jaguar gave the country Makofi and Matapeli. Both songs topped the charts for a considerable length of time and this success can explain why he was included in the Safaricom Live Tours. Other musicians who were phenomenal in 2012 include Willy Paul with his smash hit ‘Sitolia’, Jimmy Gait, who continued with his 2011 musical successes, Daddy Owen with several hits among them Mbona and Dakika Tatu, Octopizzo with hit after hit and Camp Mulla with their multiple nominations. Outside music, many other people kept Kenya entertained. Joy Karambu, popularly known as Kawira on Citizen TV’s Papa Shirandula was probably the funniest TV character in 2012. Kawira plays the role of a naive high school girl from Gakoromone Secondary in Meru. With a very heavy Meru accent and trademark blue uniform, Kawira has endeared herself to Kenyans almost effortlessly. Her success on Papa Shirandula has helped her land several other roles including being a co-host on the dance programme Sakata on the same station. She also has a role on K24’s programme Pang’ang’a alongside being a radio presenter with MediaMax’s Meru FM. Jackie Nyaminde best known as Wilbroda on Papa Shirandula, is probably the most underrated actor in Kenya. In 2012, she once again proved that she is a force to reckon with in Kenya’s TV industry. Her acting often appears effortless, and this is mostly attributed to talent. She was definitely one of the best actor / actress in 2012. Daniel Ndambuki failed to bring back Churchill Live, but that does not mean he went under. Far from it, he was on radio and in a big way. Every morning, Mwalimu King’ang’i co-hosted Classic 105’s Maina and King’ang’i in the morning. If you doubted his influence, all you need to do is board any public service vehicle plying any route in Nairobi in the morning. Virtually all matatus are tuned to Classic, and King’ang’i is the reason. Definitely one of the best entertainers of 2012. Many other actors were incredible this past years and most will continue to be in 2013. However, after all is said and done, the one person who influenced Kenya’s entertainment most, this past year, is Jackson Makini (Prezzo). Many people believed his career was dead and buried but all that changed when he was named a Big Brother housemate. The announcement was first opposed by most Kenyans on social media, but when he arrived in South Africa, everyone got behind him. For days, his exit looked imminent, especially after receiving nominations week after week. At some point, fellow Kenyan housemate Alex nominated him for eviction but Africa saved him again. Alex would soon face the exit, to join his brother Malonza who had left earlier. Prezzo hit international headlines when a video of him telling South Africa’s Barbz to get pregnant was picked up by American news agencies. After the incident, many wrote off his chances to win the prize, but he went ahead to remain in the house till the last day, becoming Kenya’s best performing housemate at BBA when he emerged number 2. He was named a ONE ambassador; an announcement that led to speculation that he would be receiving a 9 figure salary among other benefits. He however confirmed those were just rumours. During his stay at Big Brother House, Prezzo developed a relationship with Nigeria’s Goldie. The two are still a couple months after their exit from the house. 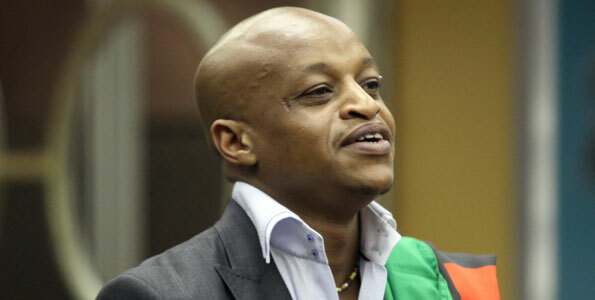 Prezzo’s successes in 2012 and his ability to remain the talk of the country and subject of hundreds of news articles make him our Entertainer of The Year 2012.